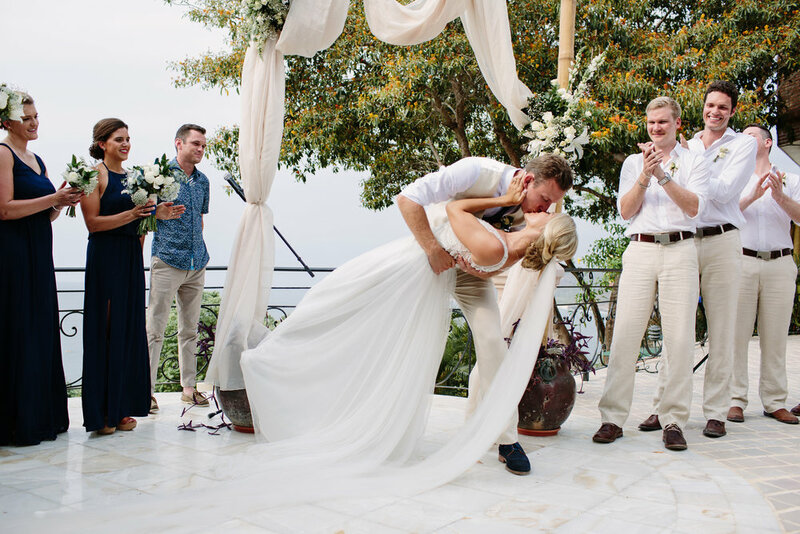 Jaime and Jay’s wedding took place at the Gran Villa, at Villa Amor in Sayulita “Pueblo Magico”. 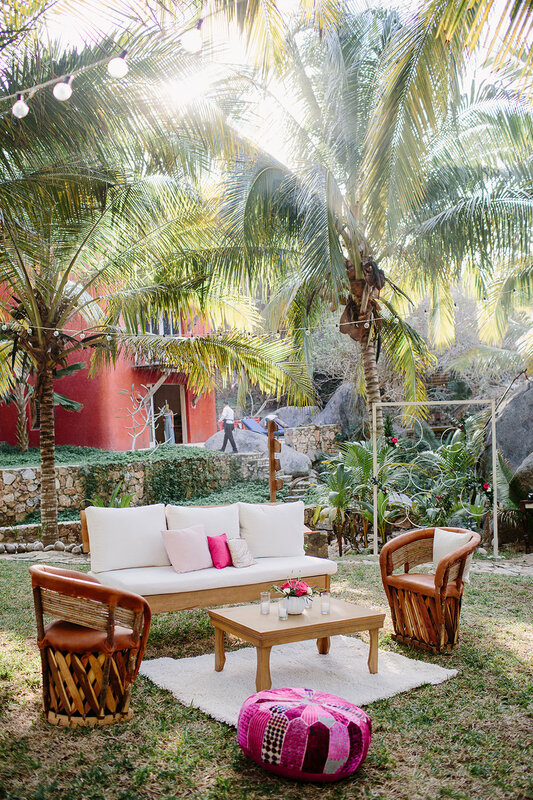 The Mexican styled villa is a great location for a more intimate gathering. 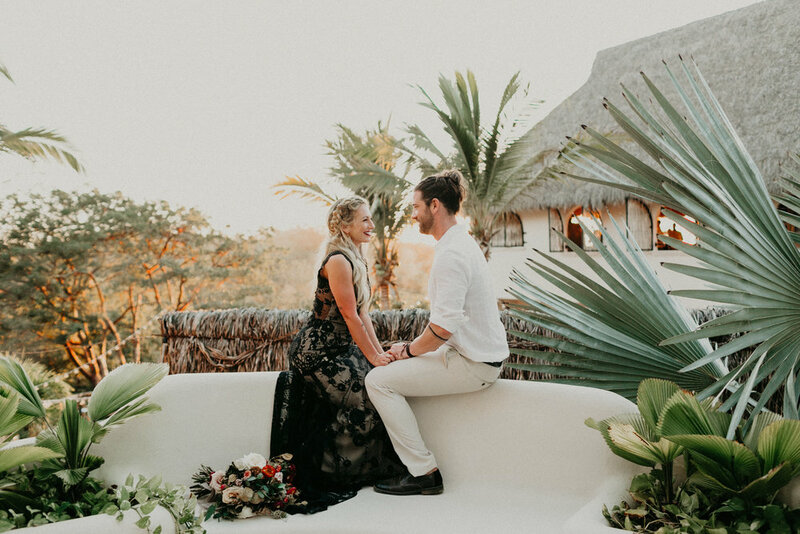 It has a charming open layout and spacious terrace overlooking Sayulita’s beachfront as well as the surrounding lush landscape of rolling hills scattered with palm trees. 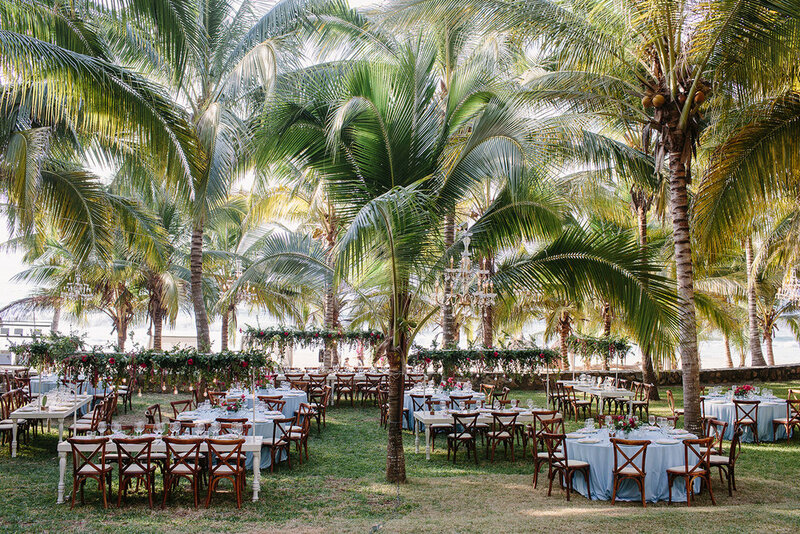 This tropical paradise truly creates the perfect backdrop for your big day! Jamie was absolutely stunning, a true classic beauty. Her elevated natural makeup, along with her classic yet updated hair perfectly complimented her elegant beaded sequin bodice dress. 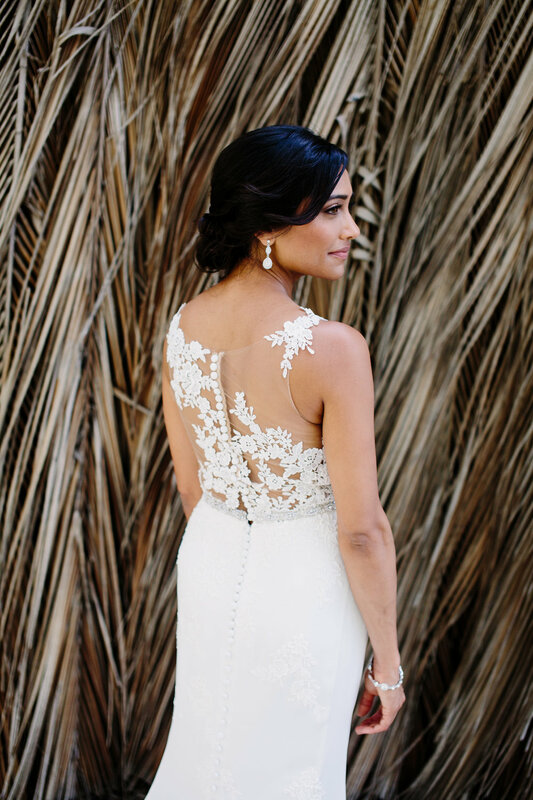 Seriously, I LOVED her bridal look! 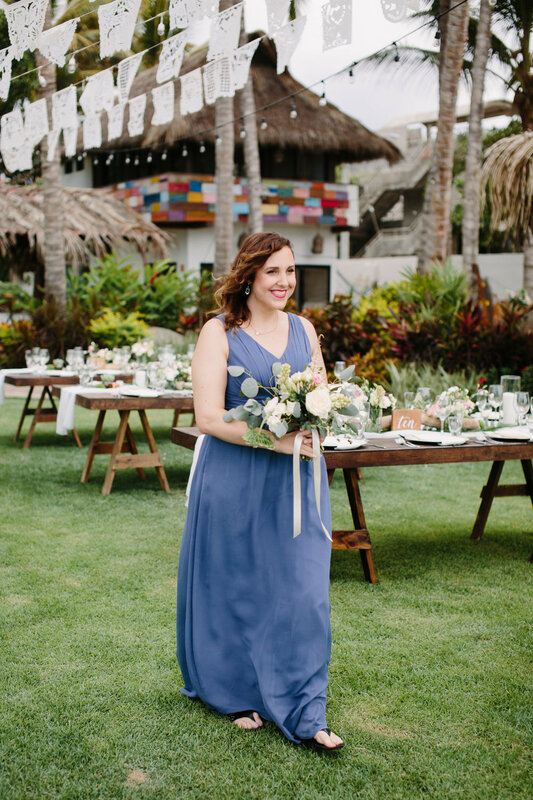 Her sweet, relaxed disposition made everything flow really smoothly, resulting in a good time had by all during the preparations :) Aside from that, what I loved most was her bright smile, it is so welcoming and sincere. I think it says so much about a person. As always, Taryn Baxter did a an amazing job of capturing Jamie’s essence in her photos. 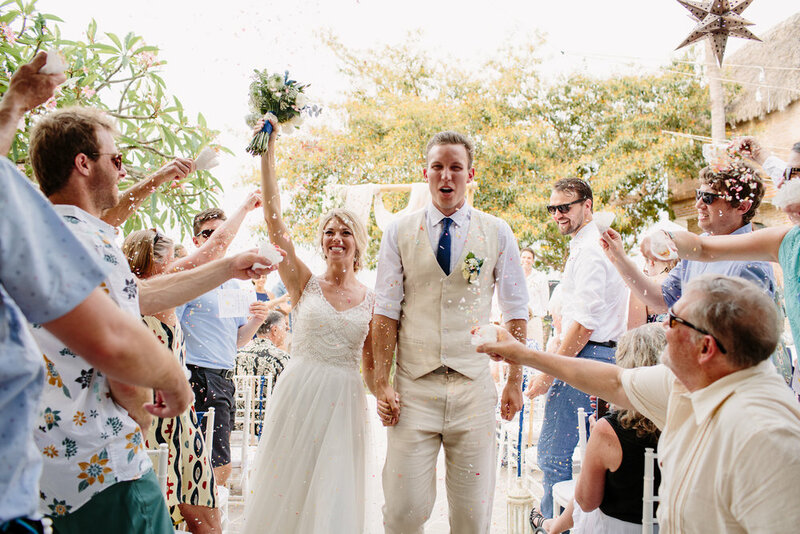 Surrounded by close friends and family, the wedding day was filled with happiness. No one seemed to be without a smile on their face. Seriously, what about that first kiss?! A beautiful couple in a beautiful setting, I guess there isn’t much more one could wish for! It was such a pleasure working with you Jaime, thank you so much for choosing me for your big day. I wish the two of you a beautiful life together full of bliss! 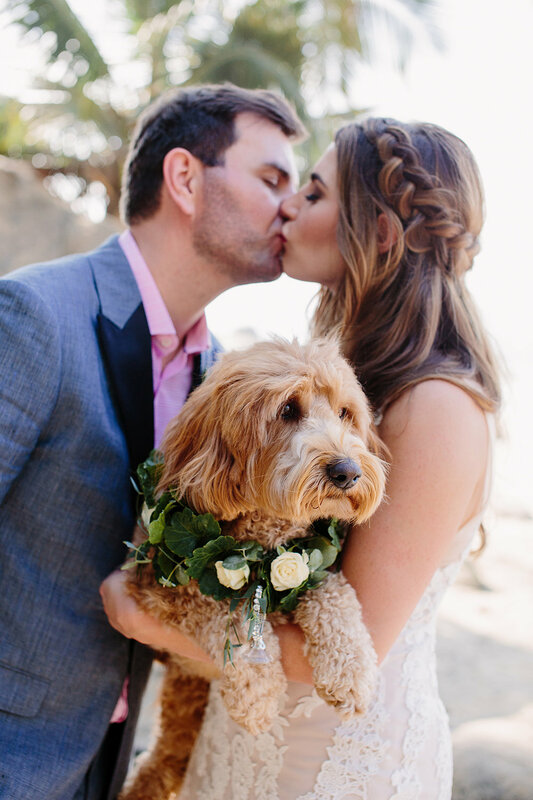 Alexandra and Pete were married earlier this year at Teitiare Estate in a beautiful seaside celebration filled with touches to reflect their personalities(including their super cute fur baby! 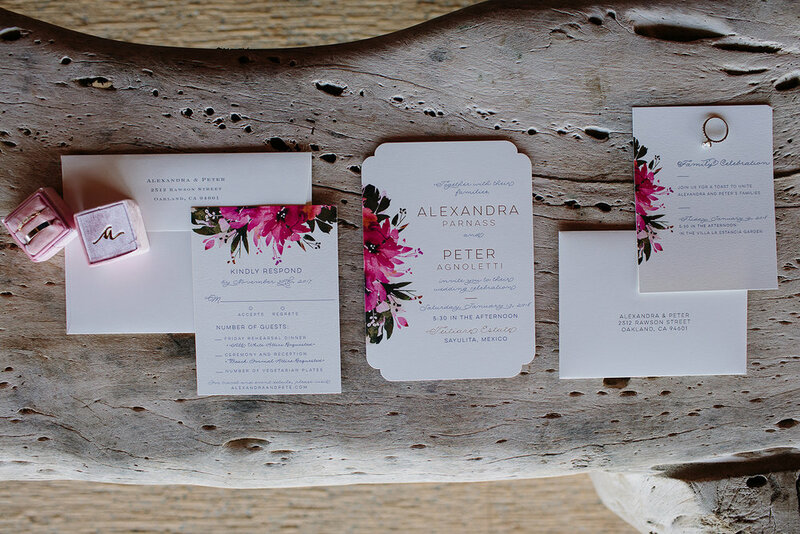 ), mixed with luxurious florals and gorgeous decor to create an overall relaxed, yet sophisticated vibe. 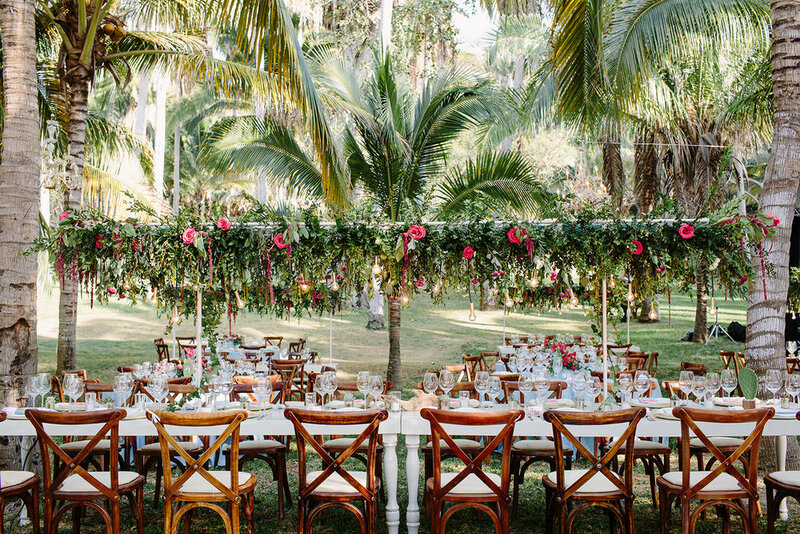 Teitiare was the perfect setting for The Dazzling Details, Unique Rentals PV, and Flora Amor Mexico to come together and create a stunning atmosphere for everyone to celebrate the day(and well into the night) in style! I am still in awe of the floral installations above the tables! 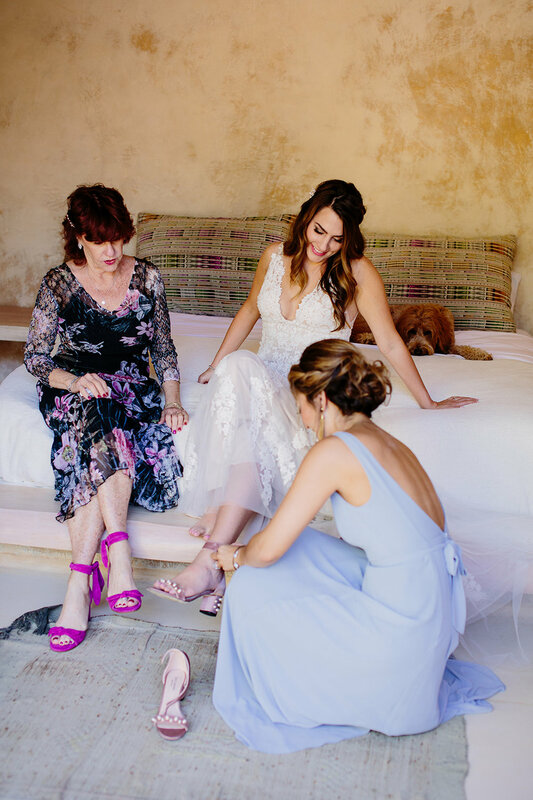 Alexandra’s dream team was rounded out with Taryn Baxter capturing the most stunning images from the day, and of course, I couldn’t do a party this size without a little help-this day it was the lovely Ella Leyva, thanks amiga! 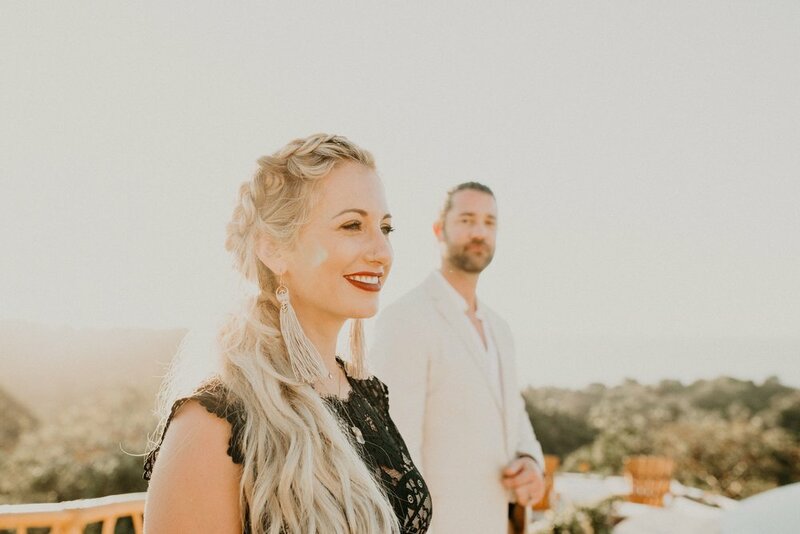 I loved Alexandra’s soft, braided half-up style, paired with a more dramatic eye and the soft punch of color on her lips to complement the color palette was perfect! And can we just talk about the dress for a second? WOW! And ps, Happy Birthday Pete-I hope you are having a good birthday week! 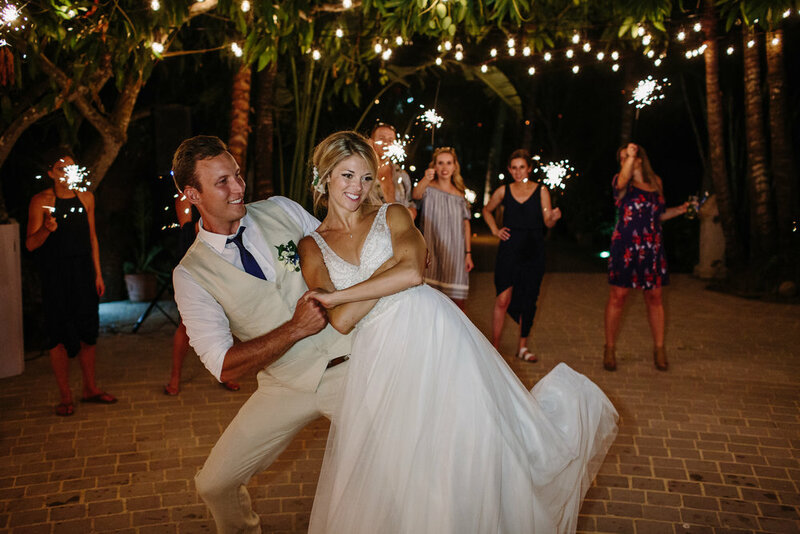 Hailing from Toronto, living in Austria and getting married in Sayulita, Lauren and Geoff are definitely a global couple! 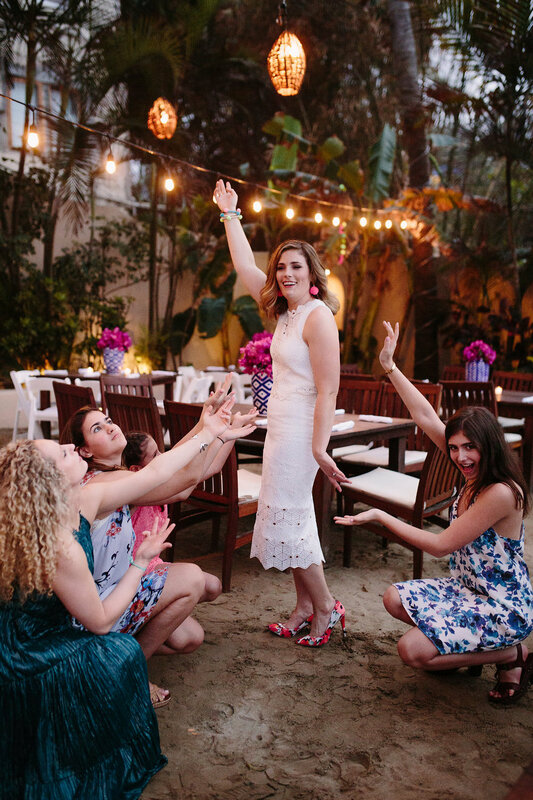 This wedding marks one of the first where I styled members of the bridal and groom’s party, and I had a blast! I definitely think the extra time to style your grooms hair etc is well worth it if they end up looking as great as Geoff and his guys! 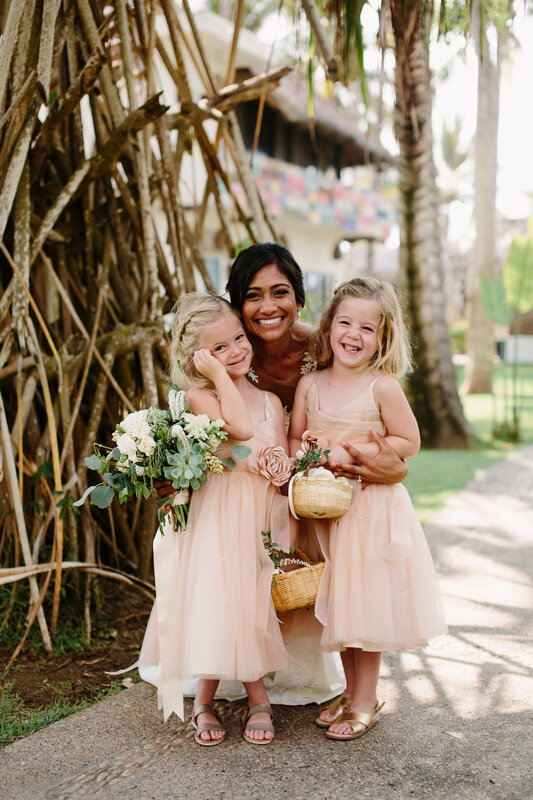 As you can see, having fun was of the utmost importance to these two from start to finish and they definitely achieved their goal! 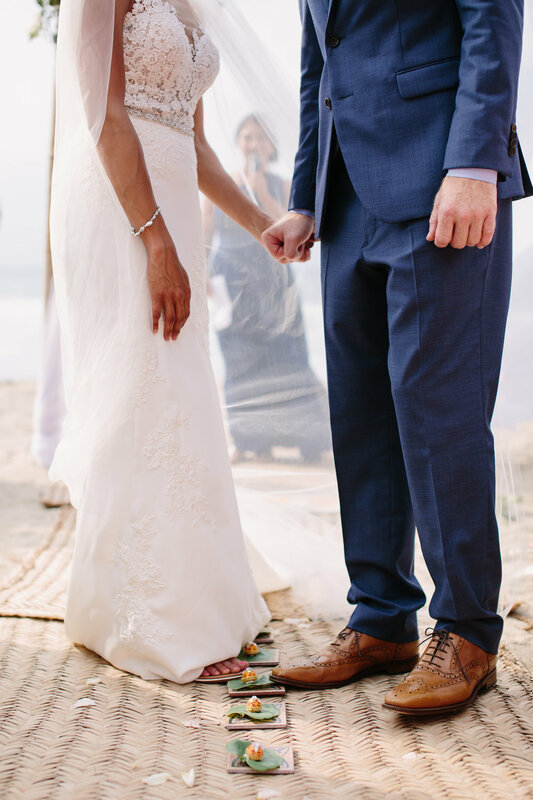 Their ceremony and reception was held at the stunning Brisa del Mar, and was filled with relaxed bohemian vibes. 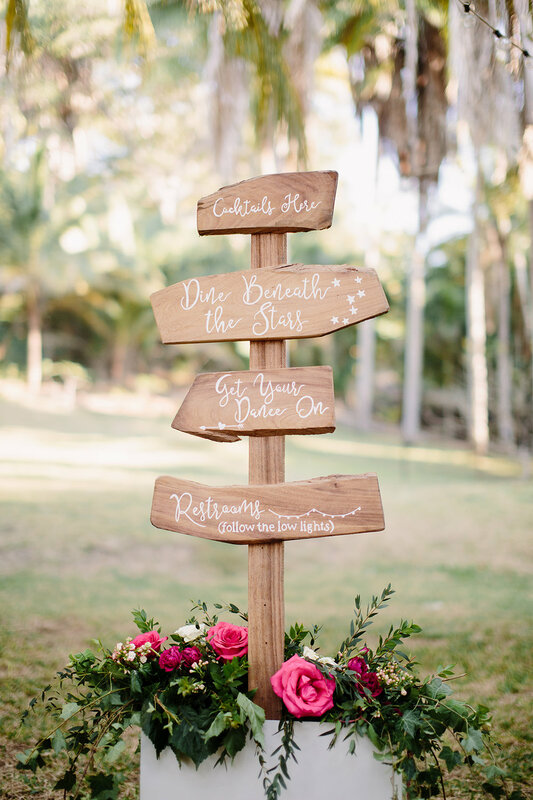 I always love the florals and decor created by Mar Weddings Floral and I think they totally hit the mark with this one! I love Lauren’s dress, if you can believe it, it was under $300. If I remember correctly, WELL under that amount too. She actually had another dress(a MUCH more expensive dress!) bought and paid for already and she sold it. 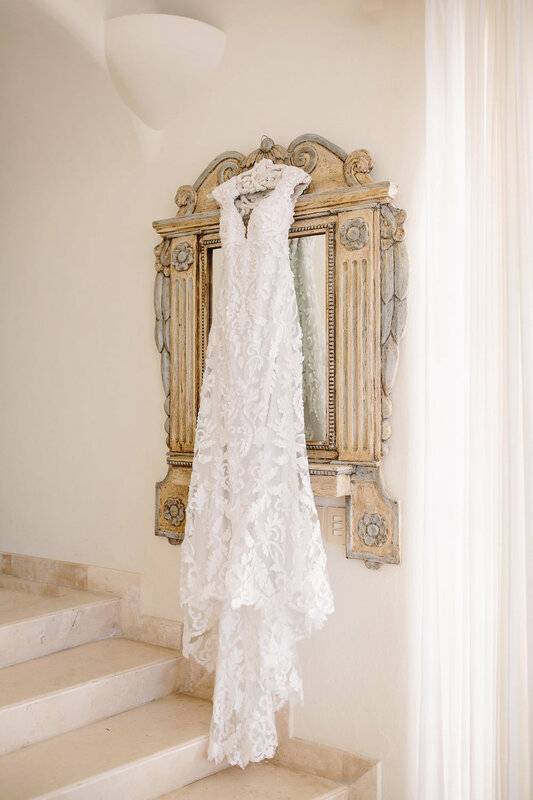 Price aside…I think she made the right decision-that dress was perfect for her!! 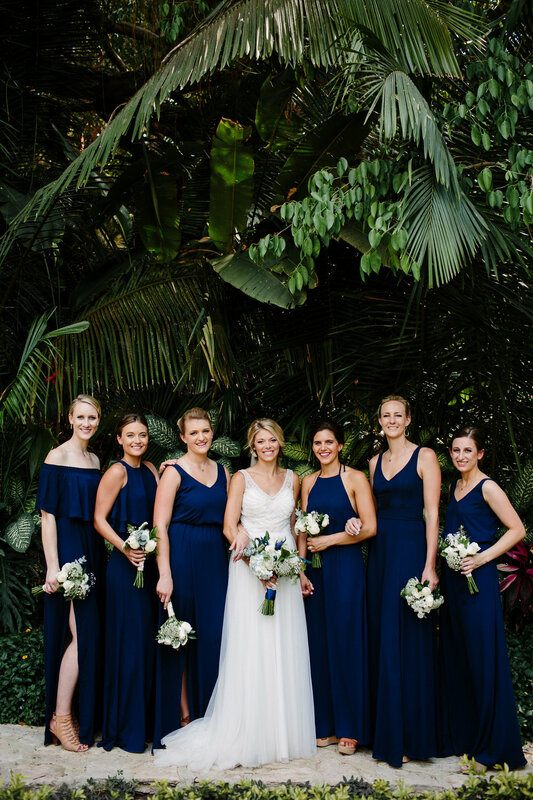 Just formal enough to elevate her look, but simple and not stuffy at all. 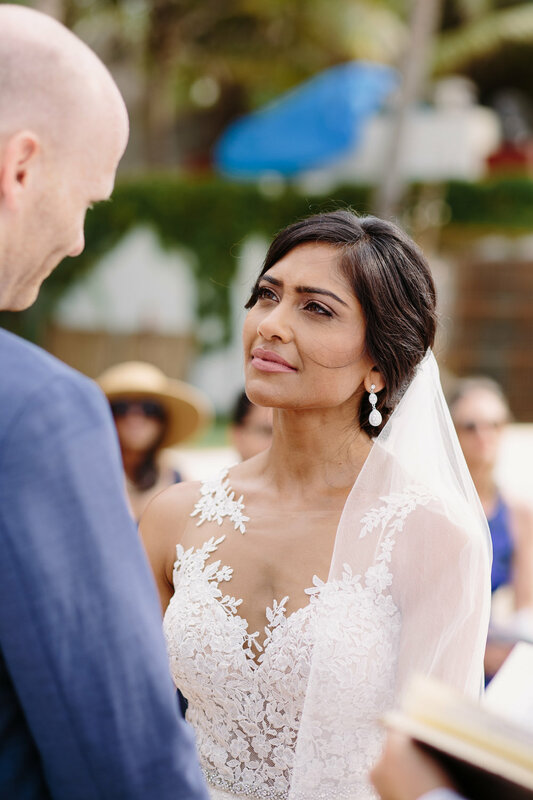 I created a soft wave for her hair and added a textured twist to her hair to maintain her relaxed bridal look, and then we went for it with her makeup and gave her a bit more glam! I love how today’s brides are inspired by what they love and feel comfortable wearing, rather than what they think they are *supposed to do! Lauren and Geoff, thanks so much for choosing me-it was a privilege spending the day with you and I love watching your European adventures!!! 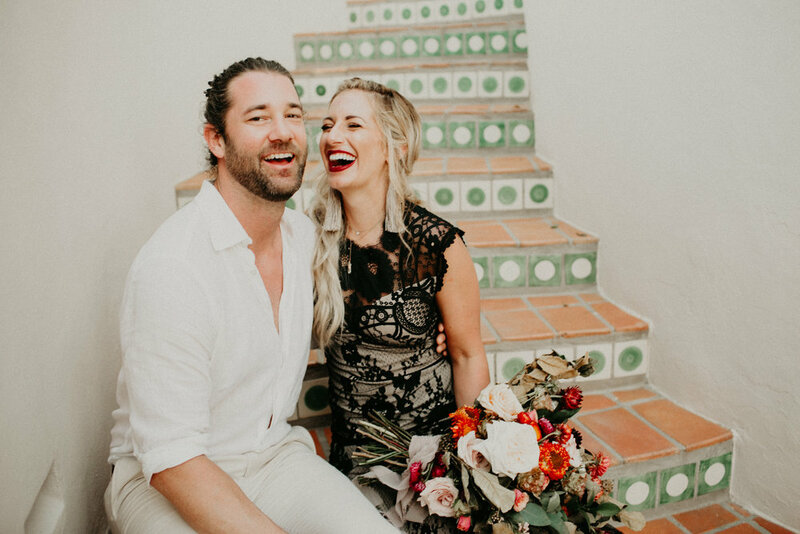 Kelly and Tam were married in March of 2017, but I loved their wedding so much and this post has been waiting for the right time to post, so I apologize for the delay but this was too pretty not to share! 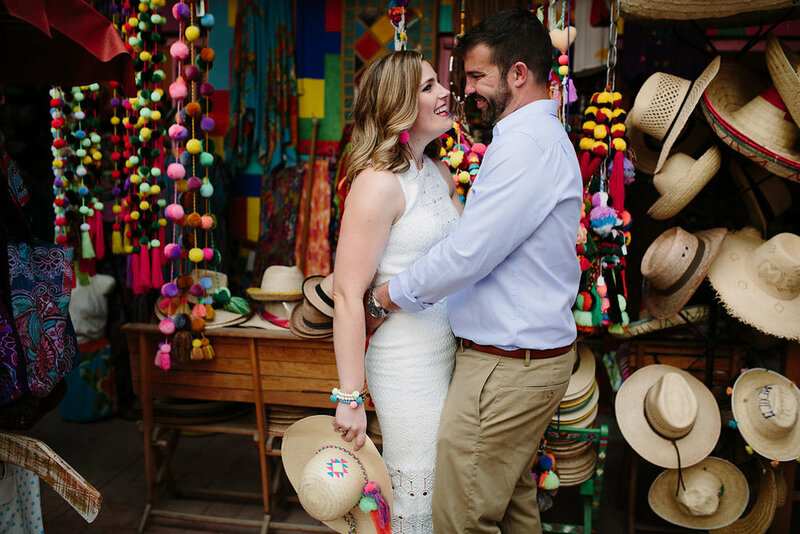 Kelly and I met approximately a year before her wedding on a scouting trip she and her fiance Tam took to Sayulita. 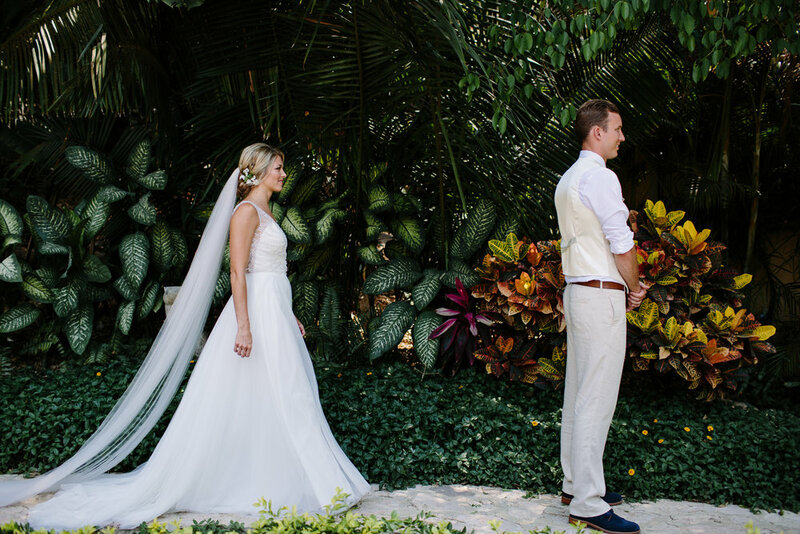 This was the perfect opportunity to get to know one another a bit and go over what her vision was for her wedding. 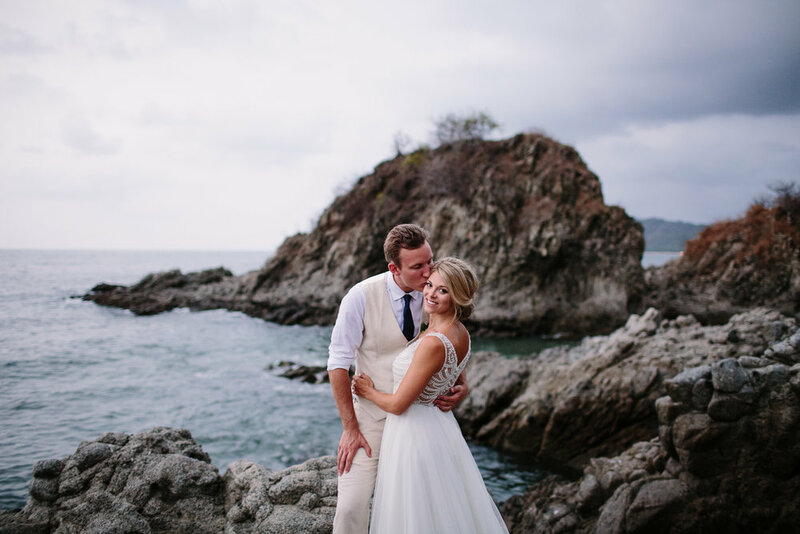 Approximately half of my brides take a trip to Sayulita months prior to the wedding to scout locations and have vendor meetings, which is a great opportunity to take a bit of time to do a mini-trial, which is hair and makeup styling, and a consultation regarding your overall vision for the wedding and general ideas for your overall look in the early planning stages, with the actual trial done in the week of the wedding. 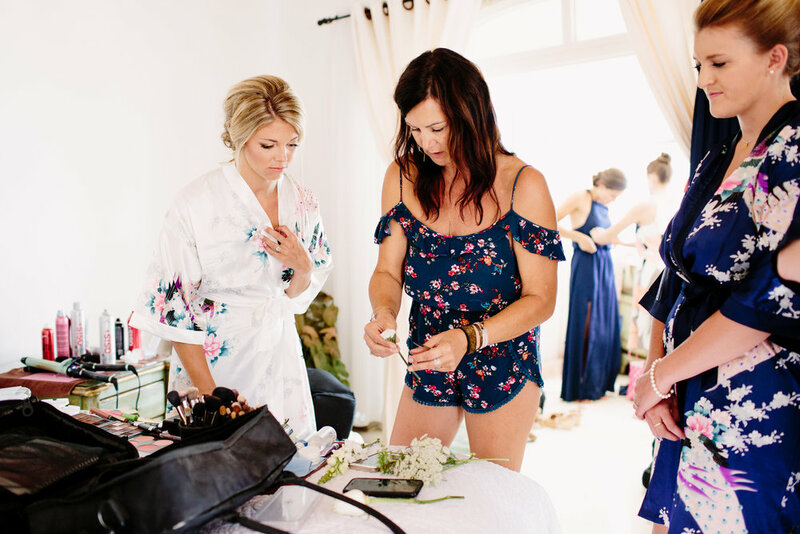 While it isn't mandatory, and is only recommended if budget allows, it's a great way to get to know one another so you feel comfortable expressing questions or changes/updates in the months leading up to the wedding. 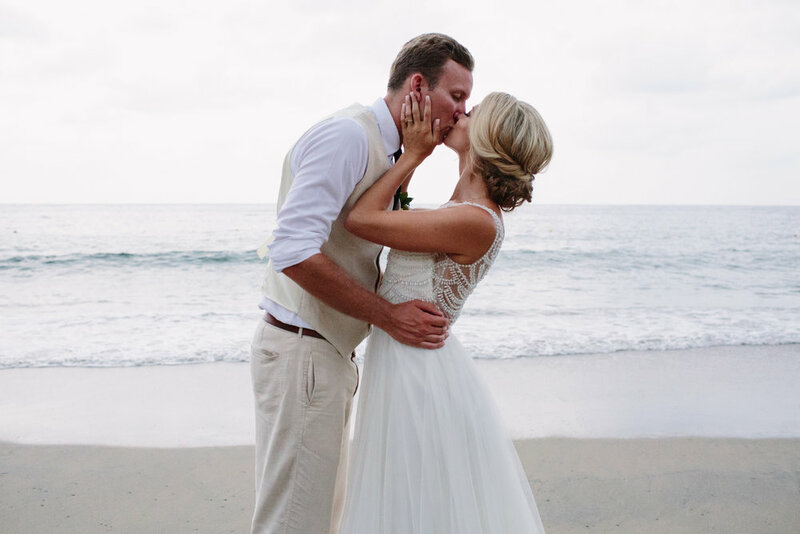 Plus, it's a great chance to get all dolled up and go on a Sayulita date with your husband to be! On the day of her welcome party, we did her trial hair and makeup, then, once it was finished, I took it down to ensure we kept her bridal look under wraps, and gave her some loose waves with a pop of color on her lip to ensure she was picture perfect for their portrait session with Taryn Baxter, and through the rest of the night. 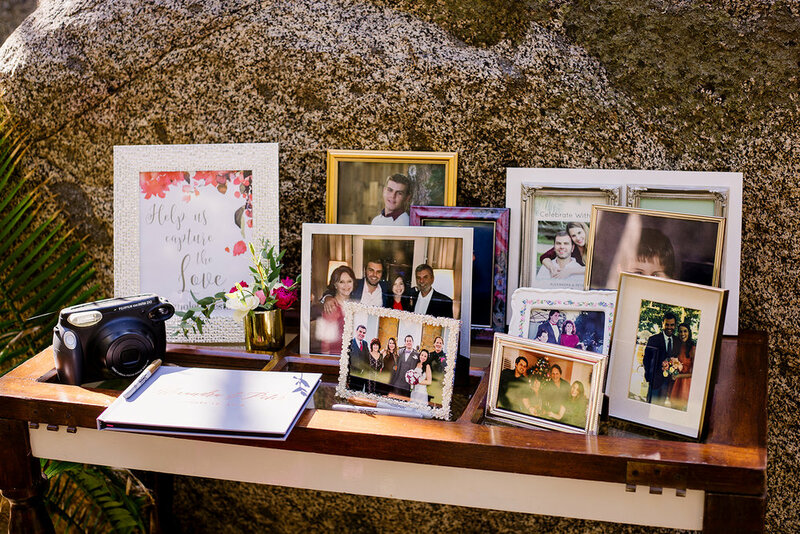 I loved the festive vibe that was set up at Don Pedro's-the vibrant tones were the perfect backdrop to celebrate with family and friends while the sun went down. Kelly and Tam are so much fun! 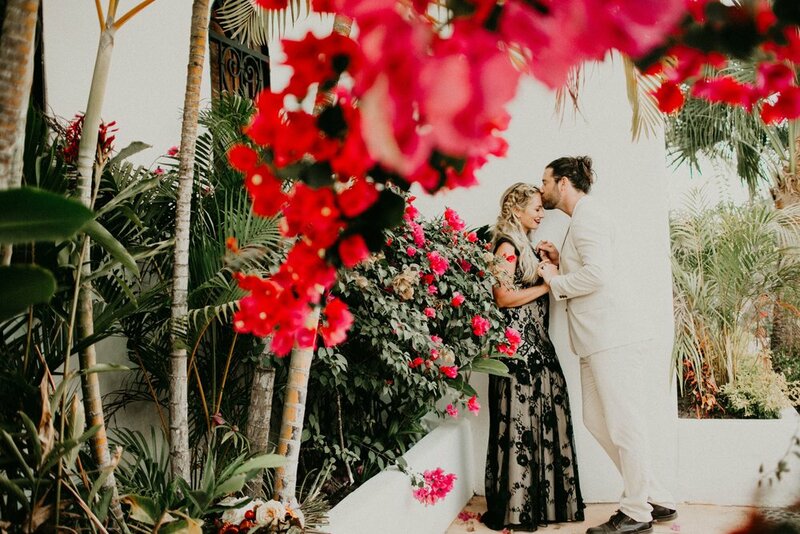 Her effortless hair style and soft glam makeup was the perfect complement for her stunning gown and the beautiful setting she and Yazmin of Sea of Dreams weddings created for her and Tam to celebrate their marriage at one of my favorite Sayulita venues, Villa del Oso. It was breathtakingly beautiful, every detail was pretty much perfect! 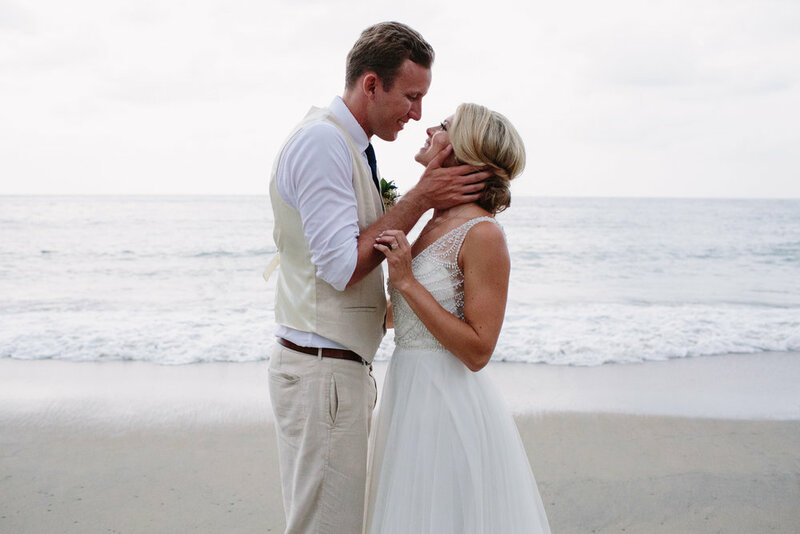 The wedding day was sunny and gorgeous(as it typically is in Sayulita), and we had a lovely time preparing her and her loved ones for the big day. We even shared a good laugh when I took headache medication which didn't really do the trick for me....who knew Excedrine had caffeine that would make me feel completely jittery? *Note to self, always carry Tylenol just in case*! So with that being dealt with quickly, we got back to the process of making Kelly and her girls look absolutely gorgeous and get her to her dream day. 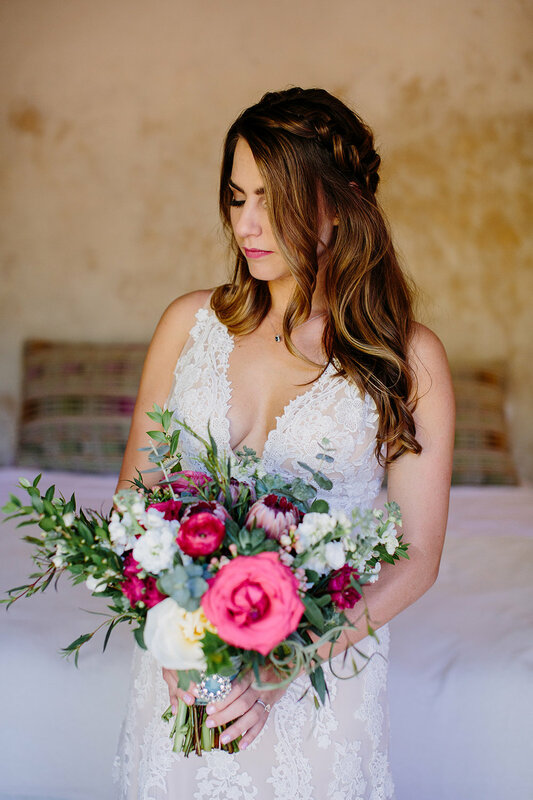 With stunning florals by Francisco Salazar, and the amazingly talented Taryn Baxter photographing every moment, Kelly's dream team was complete! 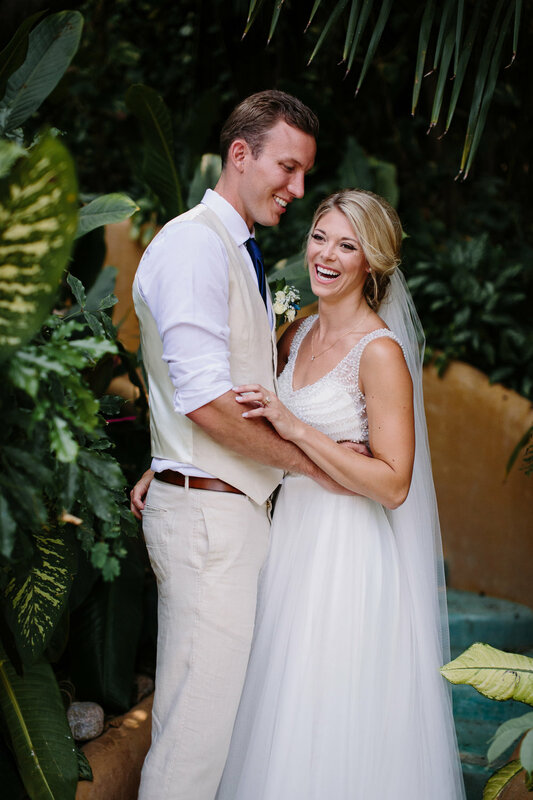 Kelly and Tam, you guys killed it and I know you are celebrating a lovely married life together as I still stalk you on Instagram:) Kelly, thanks so much for choosing me to design your bridal look, I still am absolutely in love with your style!! 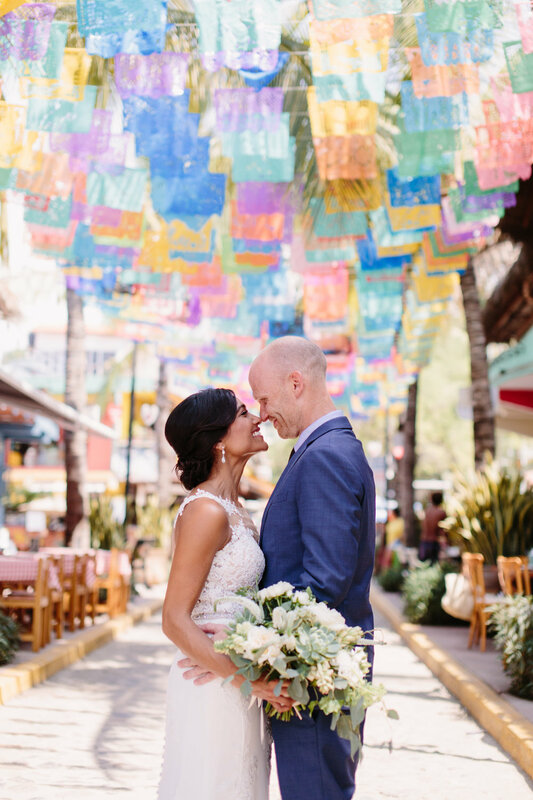 Shetal and Phil's stunning Sayulita wedding! 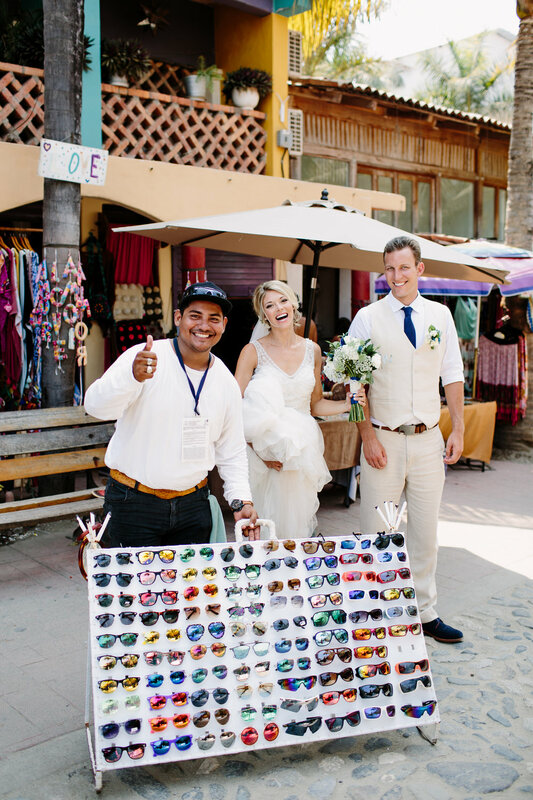 I first met Shetal and Phil at El Break a months before their wedding in Sayulita to get to know them a bit and discuss their big day with them. 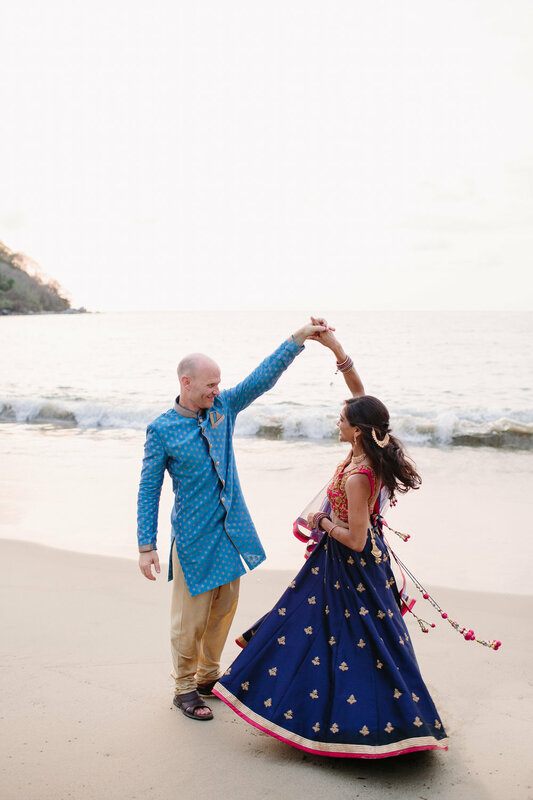 Their wedding was my last scheduled wedding of the 2017/2018 season in Sayulita, and it was going to be a big one with two events; a traditional Hindu ceremony, and a Western wedding ceremony the following day. I pretty much instantly knew I loved their vibe! 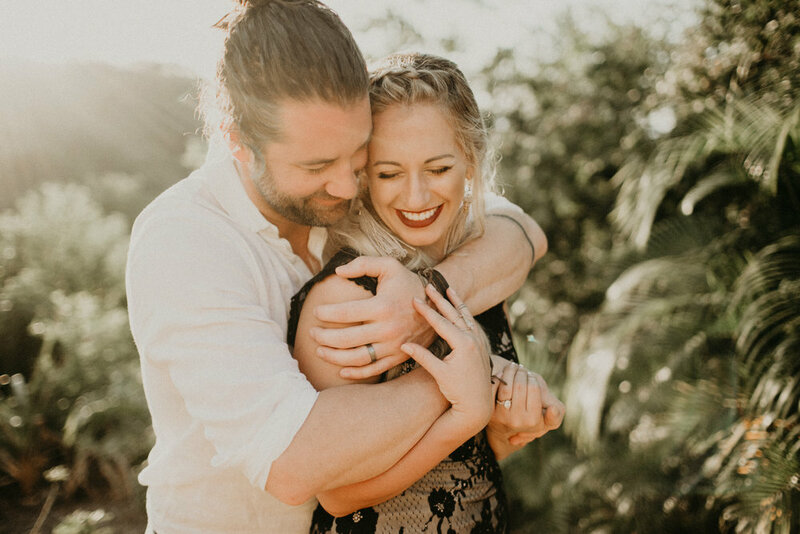 They are warm, funny and kind....and so in love. The kind of love that makes one move from the west coast to Ohio to be together. 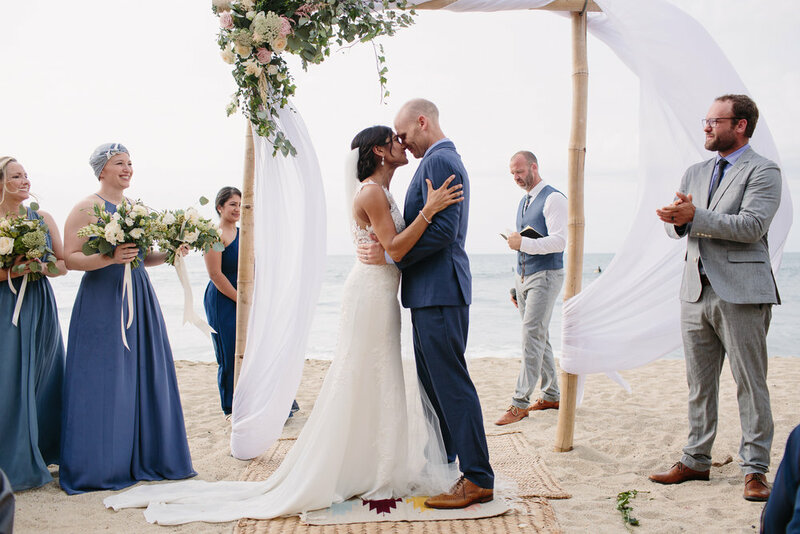 Phil’s devotion to Shetal is written all over his face, and he just wanted to ensure she was happy and had an unforgettable time in Sayulita, and Shetal is so sweet and loving to him, they really just want to make each other smile all day every day. 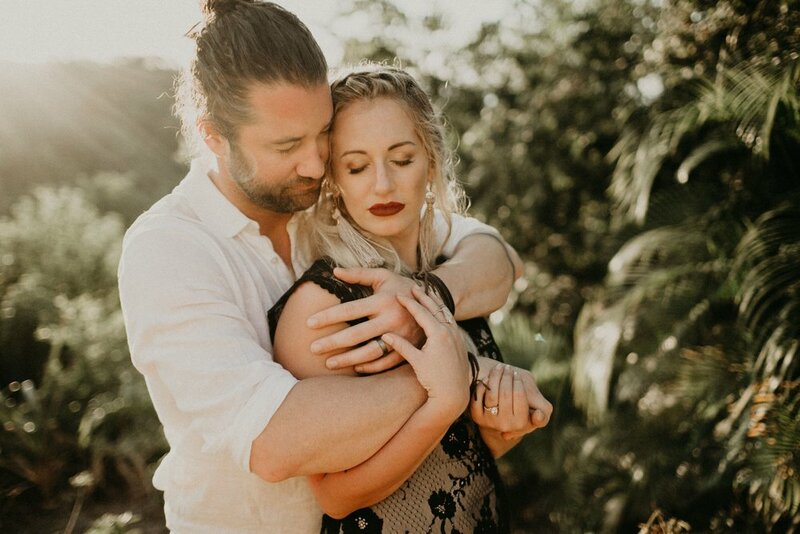 I have to say, after spending some time with them during their wedding week, I'm pretty sure they are killing it. 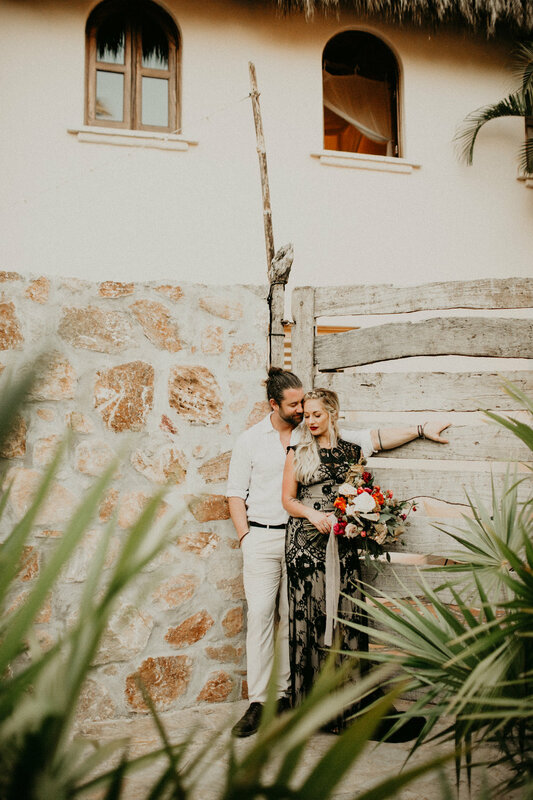 Sorry for the massive picture overload in this post, but I had to...two amazing events call for as many images as possible to show what a lovely time they had! On the day of their traditional Hindu ceremony, Phil surprised Shetal by arriving to the venue on a white horse....accompanied by Mariachi! It was amazing:) That pretty much set the tone for the rest of the evening and I think it's safe to say everyone had a great time! 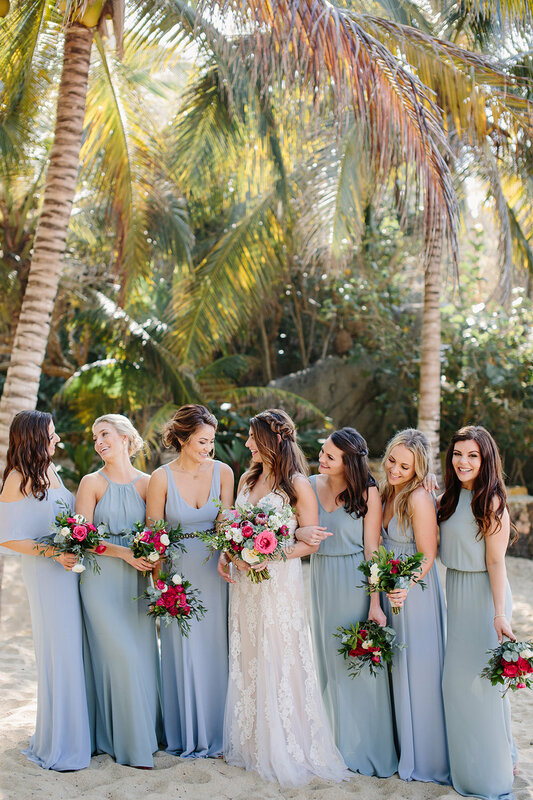 I always love to see the vibrant colors of the outfits, and Flor Mimo did a fabulous job both days, setting the mood with two completely different color palettes. And of course...no Hindu celebration would be complete without dancing. This celebration was second to none! 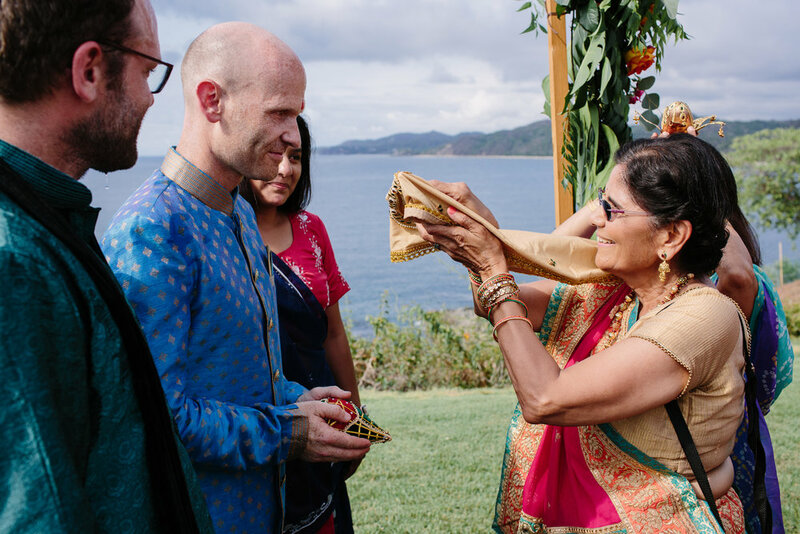 The wedding day was a hot and humid one, but we were ready to ensure Shetal's look was perfect all day long! One minor glitch...the power in the whole town went out for a short time. Props to Shetal for remaining calm in the face of what could have been a tricky situation to complete hair for her and her party(yes, the hot tools we use require power to work), but what she didn't know was that I had a plan b if needed. I ALWAYS carry my secret weapon-let's just say that not having power wasn't an issue for me and my second artist that day. While we continued to work on makeup and put it to the test with no fan or AC, the power eventually returned and we barely missed a beat. Kudos to Shetal and her girls for relaxing and enjoying the moment(just as they should have!). 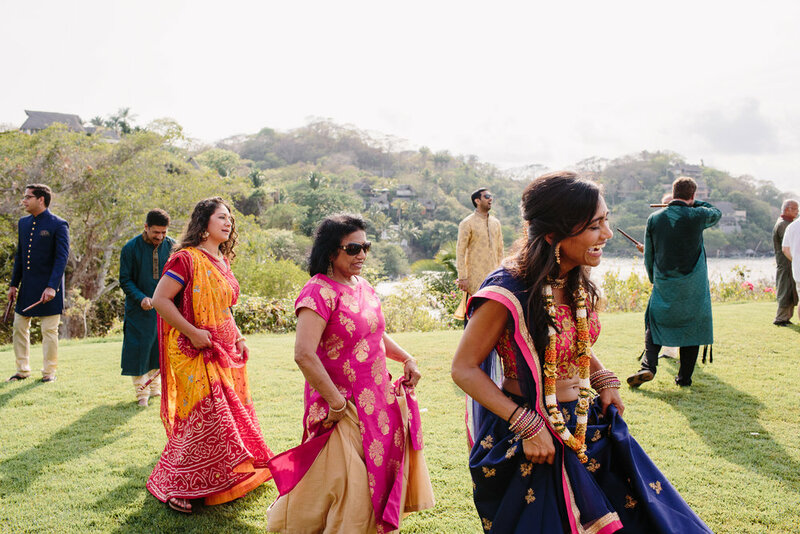 They all looked like a million bucks and were not only a treat to be around, but were so focused on ensuring the focus was on Shetal and her big day. It was a privilege to witness...not to mention the 'prom photo' component for each girl that will surely be an inside joke for years to come:) They all had their looks suited to their own personal style, their dresses coordinated in varying shades of blue were gorgeous, and of course, Shetal's gown was a stunner!! Shetal and Phil, thank you for being such stellar humans, and for reminding me that even on the hottest day when it feels stressy, it's important to smile at and for the ones you love. Sometimes it can be that simple. I wish you a lifetime of sunny days with cold cervezas and mucho amor!! Thanks for choosing me, for friending me, and for being a totally rad last wedding of the season! !